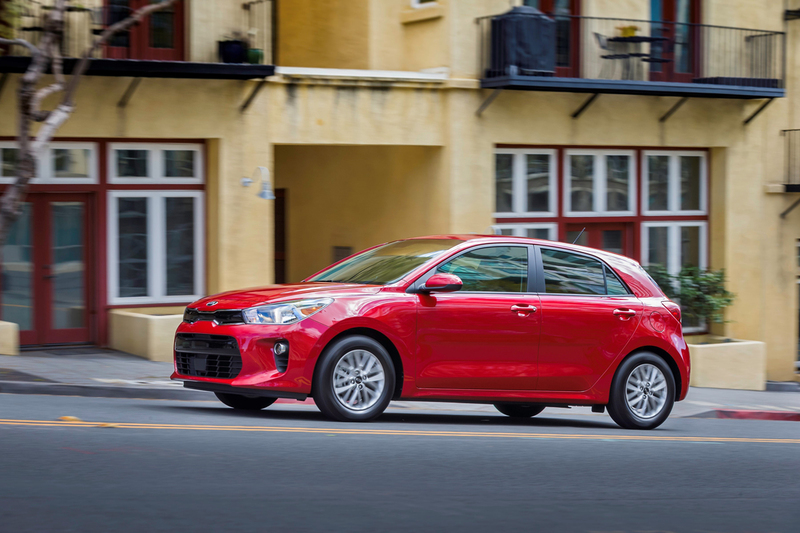 The 2018 Kia Rio is the most affordable model in the brand’s showroom and for this year it’s all-new from the standpoint of design inside and out, has more features than ever to compare with peers from Nissan, Toyota, Honda and others. 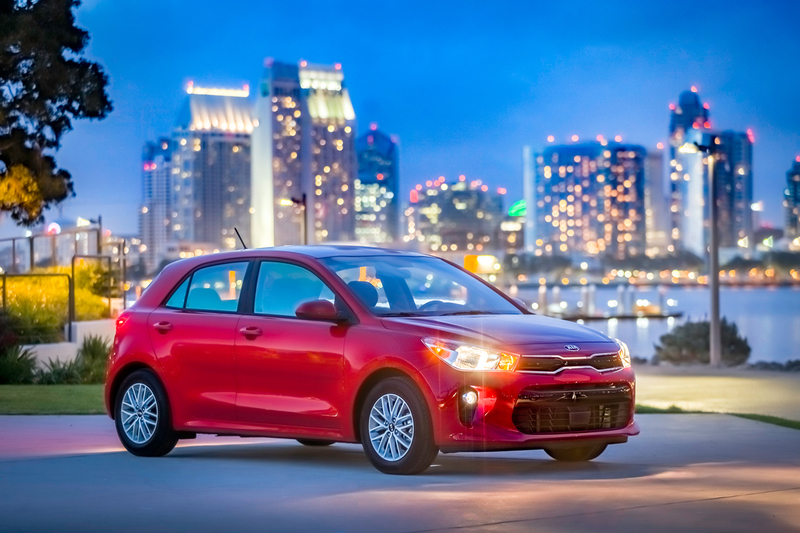 In its redesign the Kia Rio grows slightly, about a half-inch in length and in wheelbase. And while it grew slightly wider the overall height is slightly lower. All of this gives it that classic longer, lower, wider profile theme we see every decade or so in car design. More European in its styling, the new Rio is actually perhaps more conservative and formal in its details with the Kia tiger-nose grille and headlamps being more upright and less severe in their presentation than before. 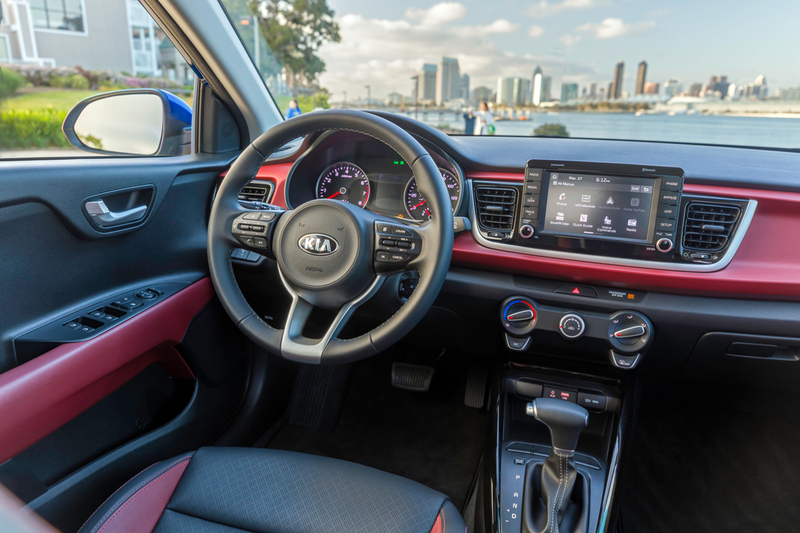 Surfaces are smoother with less sharpness to the contour lines, which Kia says is added sophistication. At the rear this is evident in the more formal upright roof line and shorter overhangs. 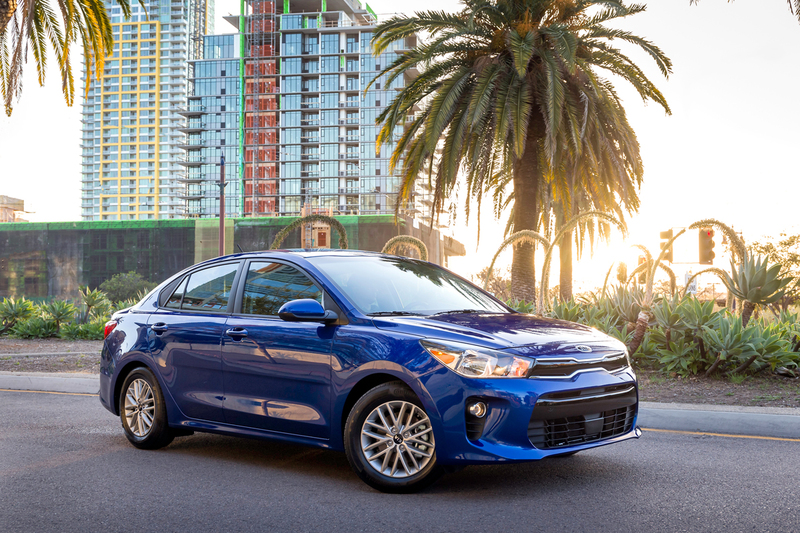 In spite of its slight growth, the Rio remains compact which is why even its largest 15-inch wheels look perfectly in proportion to the rest of the car. 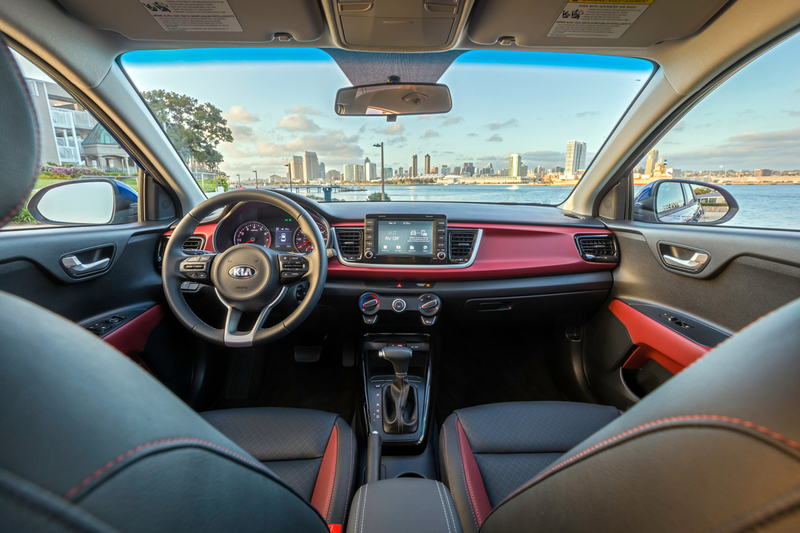 A big upgrade from the last generation is the interior which takes on a design more akin to the upscale models we’ve seen like the new Stinger. 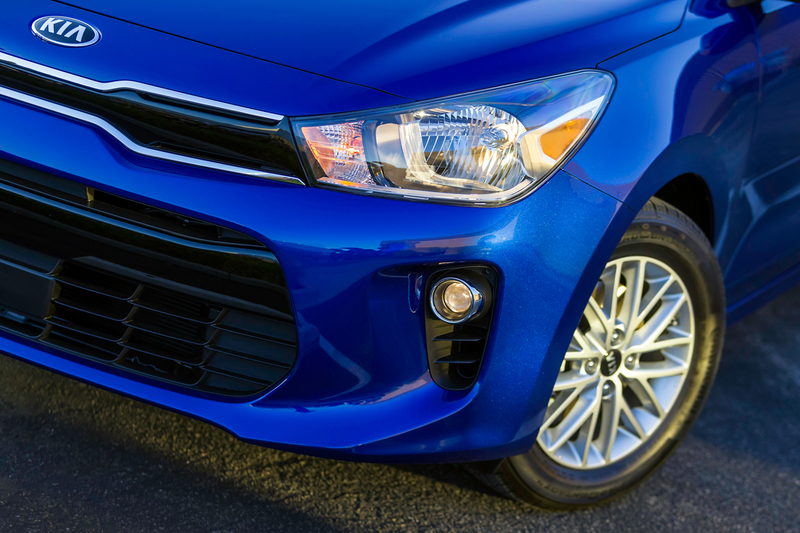 While this is no luxury sport sedan, the materials and overall look is much elevated from before. 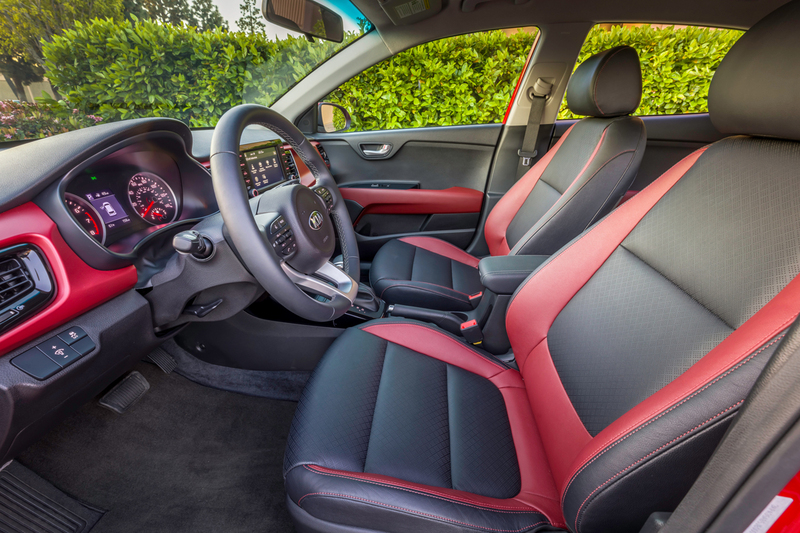 The seats are comfortable with a sturdy fabric. The switchgear is above class in its quality and feel, and the level of standard amenities beats many of its peers in this price class. 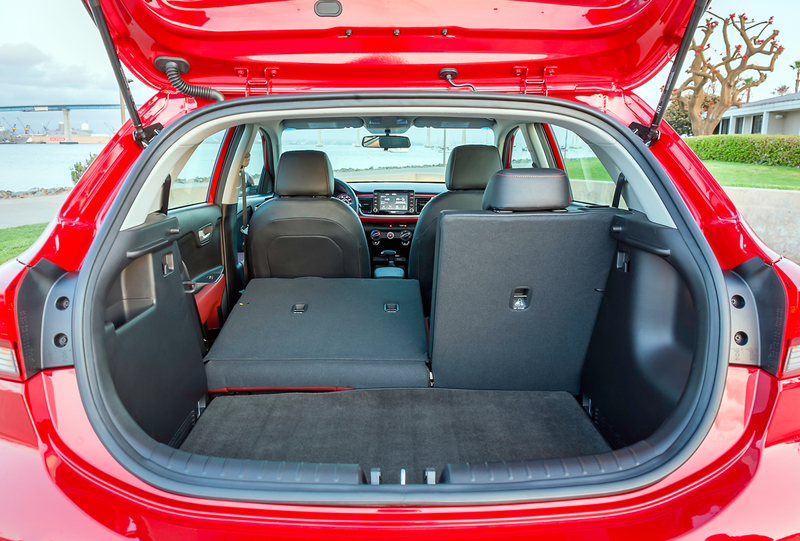 Storage too is plentiful with easy livability if you bring lots of devices along for the ride. I liked the display audio system here which offers up a lot more functionality and feature content than systems in other similarly priced competitors. 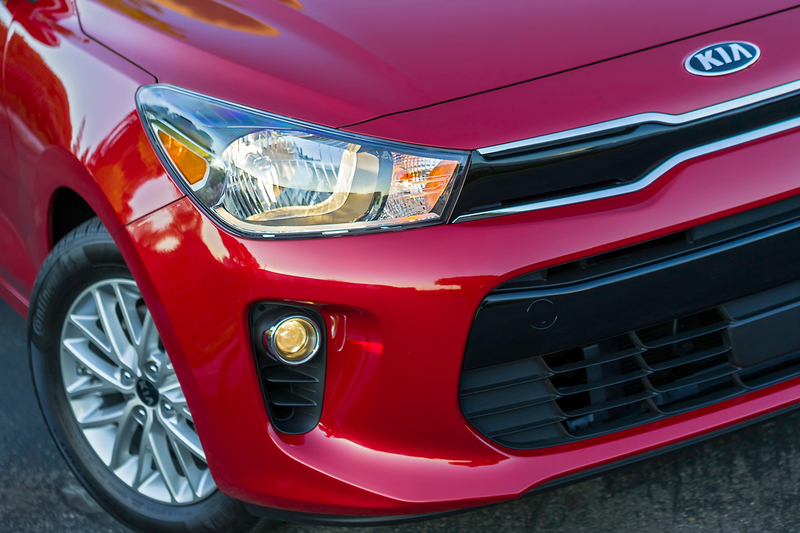 You have Apple CarPlay and Android Auto among a vast list of features. Graphics are good and menus well laid out, though it forces a home screen each time you start the car instead of staying where you left it. 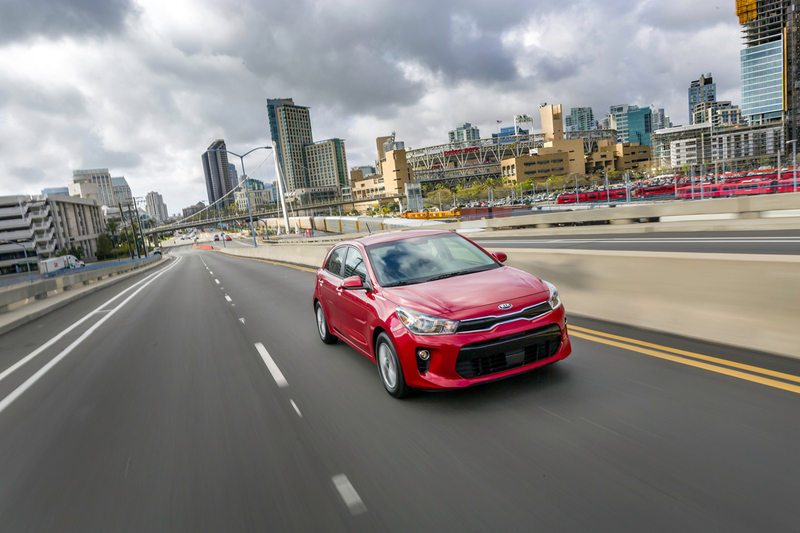 Powering the Kia Rio is a familiar 1.6-liter direct-injection four-cylinder engine with a few tuning changes that net it better fuel economy than before. 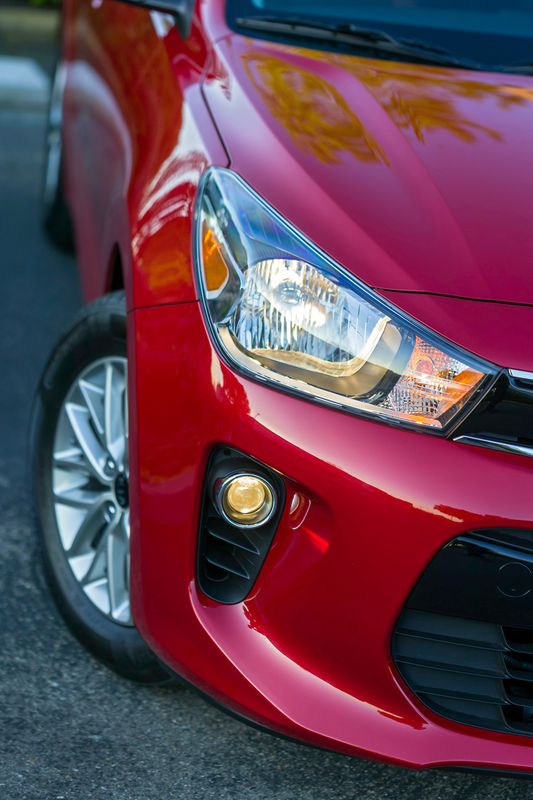 With the six-speed automatic in our tester we were impressed with the 36 mpg we achieved in our week. This is good considering the EPA combined rating is only 32 mpg. 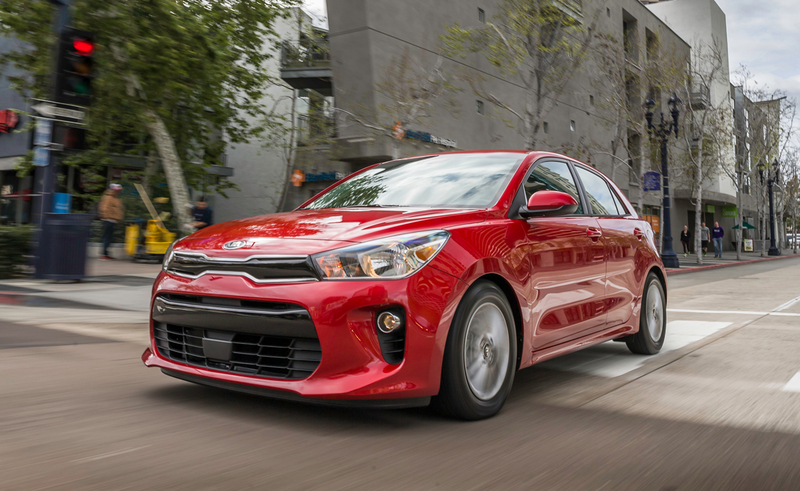 It has plenty of pep with 130 horsepower and the gearing of its transmission. Most notable is the refinement level here that was a pleasant surprise in addition to its traditional shifting feel unlike the CVTs most competitors force upon you. 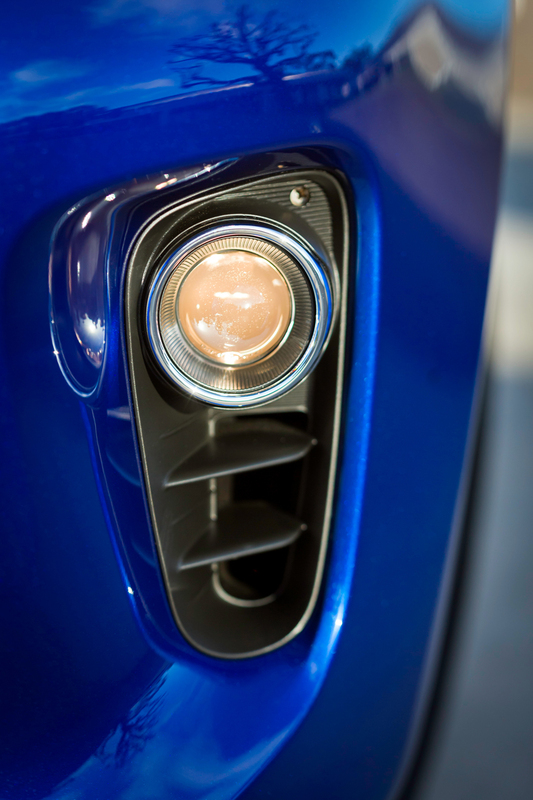 Handling also surprises in its level of refinement and overall solid feel. 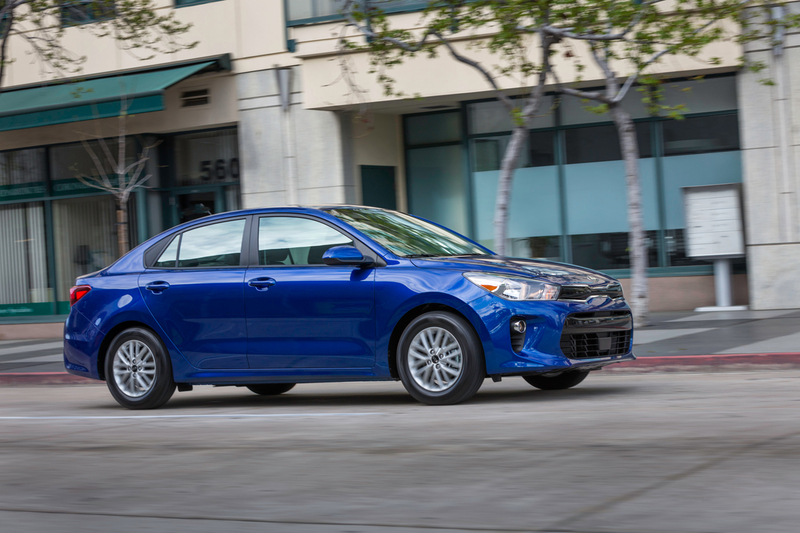 The suspension is basic with struts up front and a torsion beam at the rear but it’s impressive in the sense of quality and confidence it offers over speed humps, freeway tar strips, pot holes. Even taking corners in town at above average speeds it manages to please. If there is any complaint it’s that the new for 2018 autonomous emergency braking system is a bit overly concerned and parental, hitting the brakes and panicking when it’s really not warranted. More than once it kicked in and sent food or papers flying to the floor unexpectedly, not fun. These are the growing pains of new technologies we will surely talk about for some time. 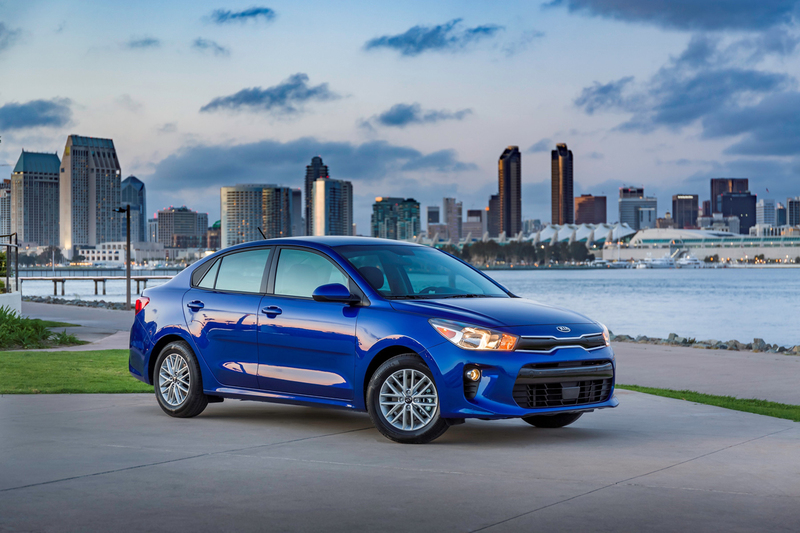 In the large picture I came away very impressed with the new Kia Rio. It feels far more substantial in terms of quality and content than most anything you can compare it to. 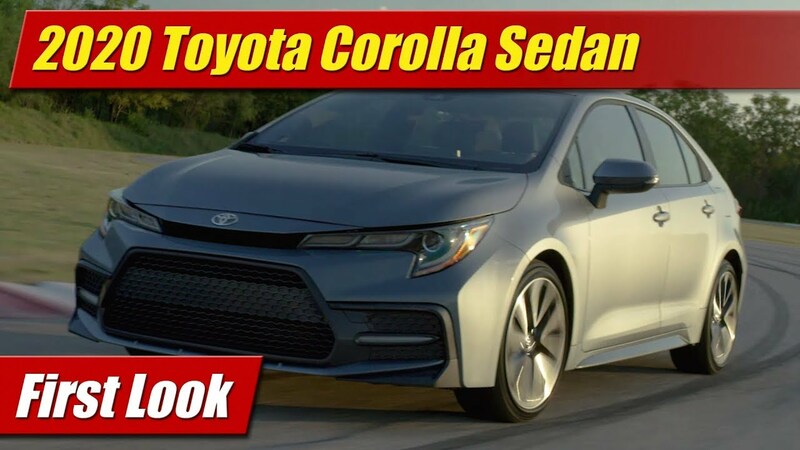 And priced at $19,728 well equipped it represents likely one of the best values too.